Retail openings are rising and closures slowing across the North East, according to latest research. 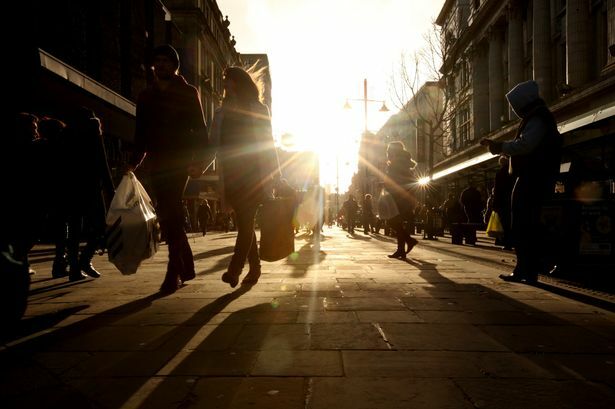 The rate of store closures in the North East has dropped slightly in the first half of 2014, with 121 stores shutting up shop compared to 124 over the same six months last year, according to research by accountancy giant PwC, compiled by the Local Data Company (LDC). The data also showed a slight rise in the number of shops opening across the region, increasing from just 86 opening from January to June 2013, to 92 for the same period this year. However, this has resulted in a net decrease of 29 in the total number of stores. In Newcastle there was a net reduction of six stores and in Sunderland the city saw a net reduction of four shops over the six months. Nationally, the rate of store closures has also fallen slightly to 16 per day in the first half of 2014, but the gulf between openings and closures has widened. The study of 500 town centres across Great Britain showed that 3,003 outlets closed in a six-month period compared to 2,597openings, a net reduction of 406 shops. Nationally, the analysis showed the changing profile of town centres. In all, 365 goods shops of a more traditional type – such as shoe and clothes shops – pulled down the shutters. Service retail saw a significant net decline in shops from -145 units in the first half of 2013 to -245 in the first half of this year. 2014. Betting shops, coffee shops, banks, pound shops, charity shops, convenience stores and American restaurants were among those opening the most branches, during the first half of 2014. The data also revealed that across multiple retailers in 500 town centres building societies, video libraries, pawnbrokers, mobile phone shops, men’s clothing shops and fashion shops have been amongst the hardest hit in the first half of 2014. Sean Hamilton, business recovery services director at PwC Newcastle said: “I expect to see multiple retailers continue to approach openings in town centres very cautiously. “This is likely to mean shorter-term leases and more temporary pop up type formats particularly in secondary locations. “The overall drop in store openings may look surprising given UK growth prospects but at a macro level, it is most influenced by shifts in retail business models from purely high street to multi-channel. “The expanders are still the charity shops, the discount stores and supermarket convenience outlets. “It’s good to see banks re-opening branches as ‘challenger’ banks grow and there is a new emphasis on retail offering by some of the established banks. “The fallers reflect a spectrum of cases such as Albemarle & Bond where the estate had to be reduced to restore viability through to Blockbuster where the chain’s raison d’etre has become obsolete due to technology, which also continues to impact retail service businesses such as travel agents.